The Agriturismo Villa Maria is "a piece of Paradise on Earth! ", as many guests and tourists exclaim once there. 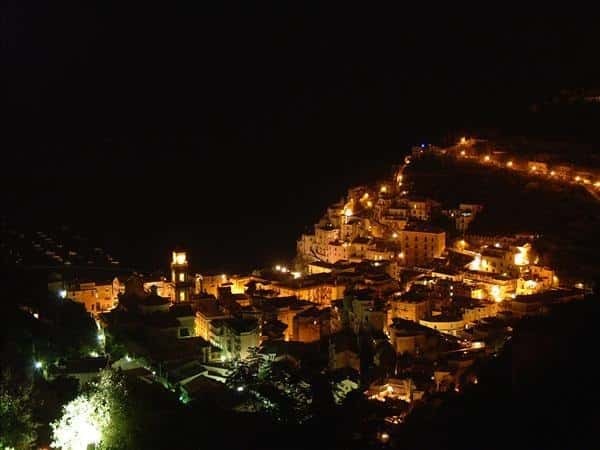 It is located in a very panoramic valley in the small town of Minori, nearby the "Campanile dell' Annunziata"(an ancient bell-tower dating back to the XII century). 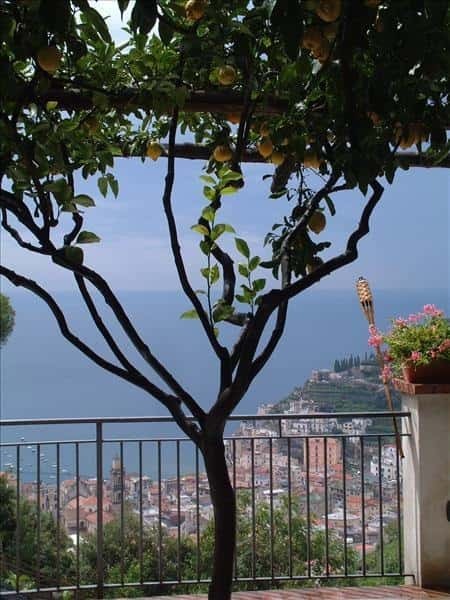 It is the ideal place for those who wish to spend a relaxing holiday, away from traffic, and enjoying a breathtaking view of the Amalfi coast. You can reach the Agriturismo by car up to a certain point, but then you have to walk up and zigzag through the lemon orchard: the close contact with nature will be an unforgettable and touching experience during your stay! Maria, Nadia's mother, is well-known and praised for her excellent food. First we got an appetizer (a large plate containing slices of salami, ham, and pancetta - a kind of Italian bacon - a piece of goat cheese, aubergines, dried tomatoes and mushrooms in oil): everything was home made and absolutely delicious! The next course was handmade pasta with courgettes, shrimps and cherry tomatoes: a melody of flavours. One important detail: everything we had been serving during the meal was homemade and even home-grown and home-raised, as Vincenzo (Maria's husband) told us with great pride. A couple of plates containing squids stuffed with courgettes and "provola" (smoked cheese), and roast chicken with potatoes were a further confirmation that the freshness and the genuineness of the ingredients makes the real difference! Then we had a grilled steak with salad and tomatoes: only one simple word...wonderful! The dinner was finished off by a tasty "tiramisù" made with lemons instead of chocolate: a tasty alternative! To end the meal a taste of homemade liqueurs: the famous "limoncello", the "lemon cream" (made with milk), the "concerto" (made with 13 different herbs), the liqueur of carobs and the "nespolino" (made with the medlar stones). The prices are highly competitive: the strength of the Agriturismo Villa Maria is given by Vincenzo's love for what he does and his deep respect for nature. But we can assure he is widely rewarded. Everyone who wants to visit this little corner of paradise will enjoy a charming view of the Amalfi coast and high quality products!